On Saturday, November 10, the Community Center for the Performing Arts and University of Oregon Campus Radio 88.1 FM KWVA proudly welcome This Will Destroy You back to the WOW Hall along with Eugene’s own This Patch of Sky. Post-rock band This Will Destroy You is touring in support of their new album New Others Part One, released September 28th via Dark Operative. The band now consists of members Jeremy Galindo and Christopher King with the addition of drummer Robi Gonzalez. New Others Part One contains seven tracks, all produced, engineered, and mixed by John Congleton, who is also responsible for their sophomore album released a decade ago. The album captures the band in a familiar but evolved ethos wherein the memorable, melodic component present in their early work once again soars atop new sonic territories for the band and listener alike. The first single is “Go Away Closer”. 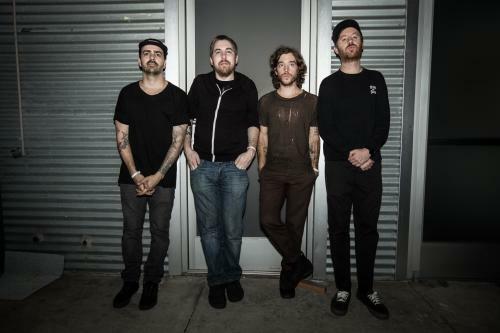 Formed in the early 00’s, This Will Destroy You have spent the last decade and a half touring the planet relentlessly between recording studio albums and scoring various films, television, culinary, and other creative entertainment projects in their relative downtime. The band initially broke in the United Kingdom in spite of their home base at the time being almost 5,000 miles away. The 2006 debut album Young Mountain was proclaimed “Album of the Year” in Rock Sound. With 2008’s “Self-Titled” album, the band truly grew a global fanbase, and the record remains their top-grossing title to date. Brad Pitt and director Bennett Miller initially paired TWDY’s “The Mighty Rio Grande” to five crucial acts in 2011’s Moneyball, with “Villa Del Refugio” then going into Pitt’s subsequent World War Z and Miller’s next film Foxcatcher. The licensing landscape exploded from there, as the band and the first two albums were represented across all major sporting events (Super Bowl, World Series, Stanley Cup, Wimbledon, ESPY’s, et al), cultural shifts (the UFC’s rollout package for Ronda Rousey), Hollywood’s biggest night (see: Tom Cruise introducing the nominees and awarding “Best Picture” over “The Mighty Rio Grande” at the 2012 Oscars), and numerous Emmy-award winning dramas on television. 2011 saw Tunnel Blanket, which features the most raw and visceral material in the band’s catalog. The band issued a triple live album (2013’s Live in Reykjavik, Iceland), and formulated 2014’s Another Language -- an exemplar of the band and producer John Congleton’s studio prowess. They were hand-picked by The Cure to perform in front of tens of thousands at the band’s 40th anniversary concert in London’s historic Hyde Park. 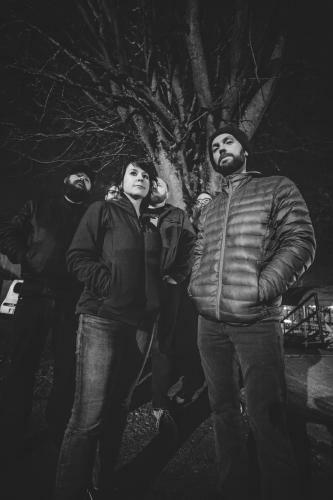 This Patch Of Sky is an instrumental post-rock band from Eugene. Their music is a gentle, spellbinding tapestry of sounds and emotions. Last year band members Kit Day, Joel Erickson, Joshua Carlton, Alex Abrams and Sean King released These Small Spaces – This Patch of Sky’s fourth full-length. The nine-track album takes listeners on a dynamic journey that navigates from eerie, somber soundscapes into gentle tapestries that build effortlessly into grandiose, soaring compositions – creating a sonic masterpiece, where instruments alone create a powerful and universal language. These Small Spaces was produced and mixed by the esteemed Matt Bayles (Caspian, Minus The Bear, Russian Circles) and released via Graphic Nature, an imprint label of Equal Vision Records. These Small Spaces is the follow-up to This Patch of Sky’s self-titled release (LP, 2015), Heroes and Ghosts (LP, 2013), Newly Risen, How Brightly You Shine (EP, 2012) and The Immortal, The Invisible (EP, 2011). This Patch of Sky’s music has been prominently featured in numerous movies, documentaries, TV shows and commercials, as well as on some of today’s most popular and highly curated playlists.